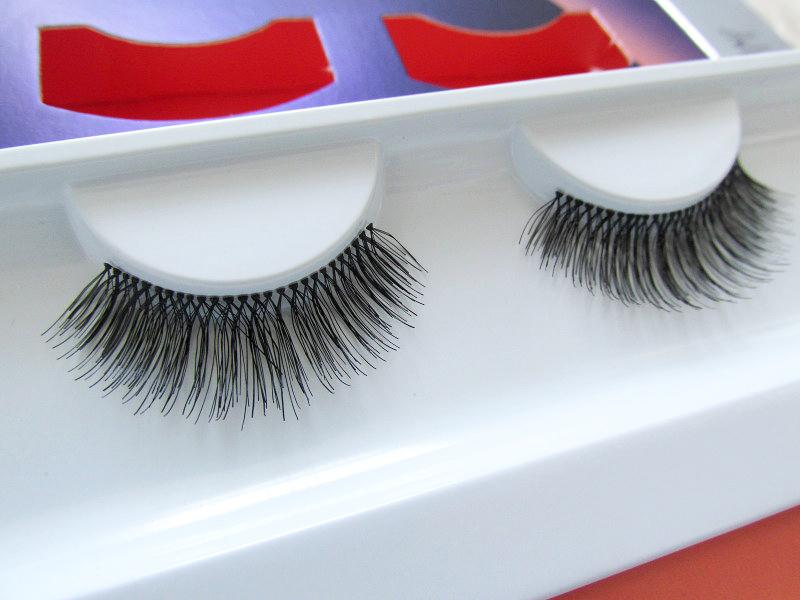 Nouveau Lashes Volume - Style 1. 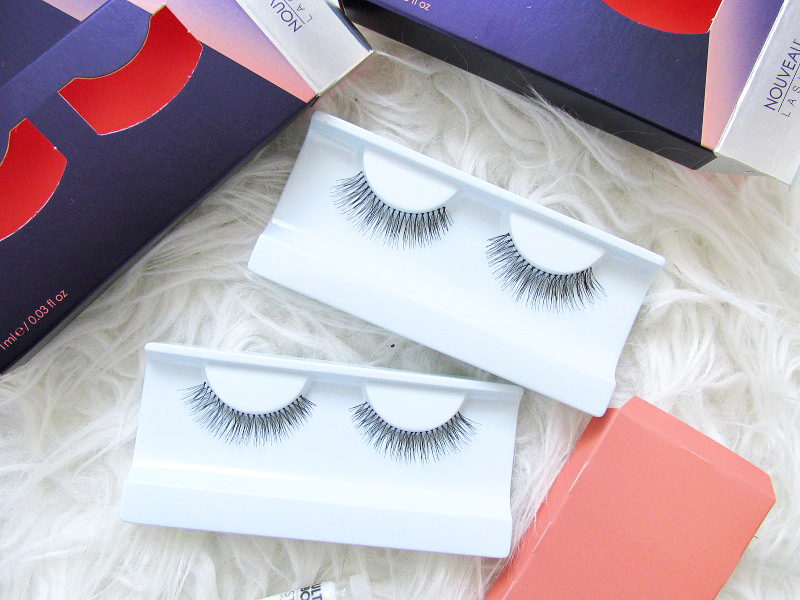 These lashes remind me of my favourite Kiss ones. The criss-cross effect of the eyelashes means that any eyelash gaps aren't so obvious, whilst the subtle lift and curl of these are great for adding a bit of glamour. Very natural and perfect for everyday wear. 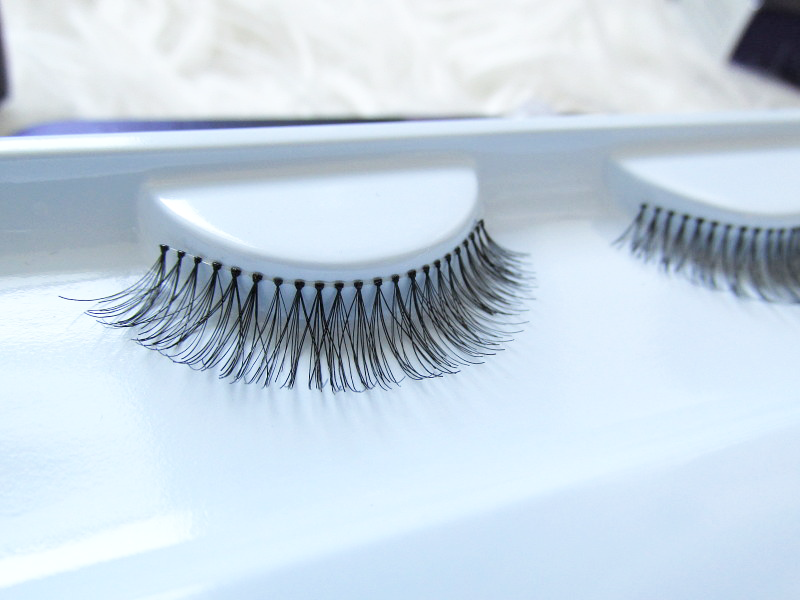 Nouveau Lashes Natural - Style 2. 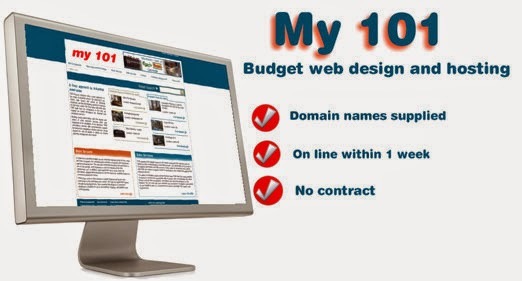 Very similar to the ones above, these have the same criss-crossing but without the curl of the volume set. 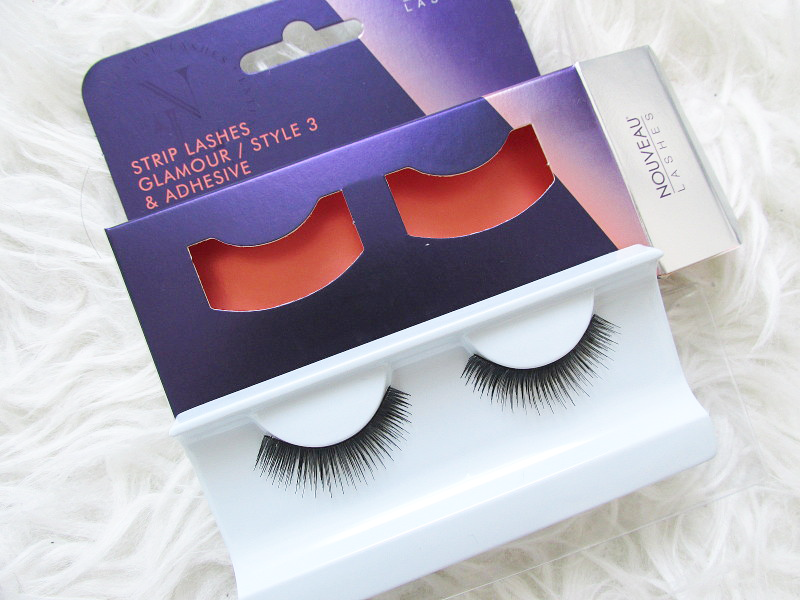 These are a better base to work with; you can always add a touch of mascara to these to provide curl when necessary. 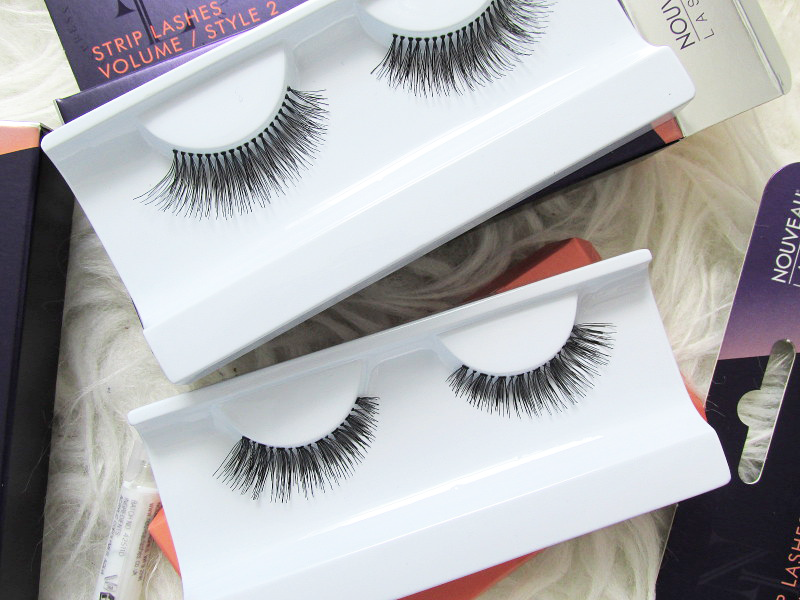 Nouveau Lashes Volume - Style 2. 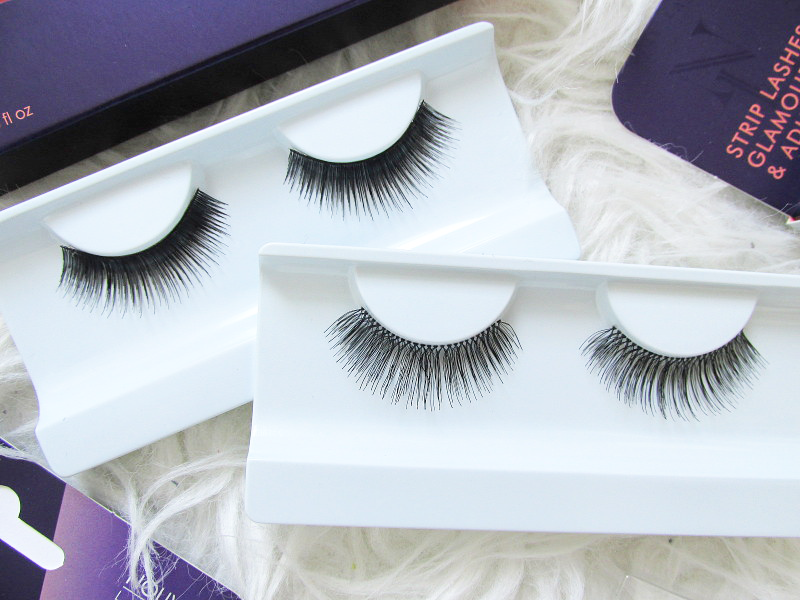 These lashes are a bit darker and more tightly packed in that the previous, more natural styles, making them great for a little bit of extra excitement. 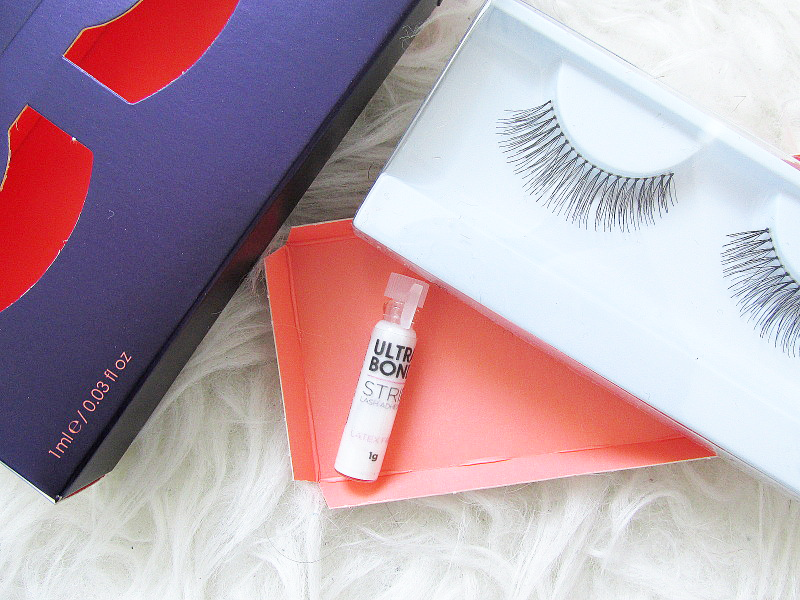 Whilst they don't feature a crossing over at the base of the lash, the volume is focused towards the end, with the varying lash lengths providing a natural finish. 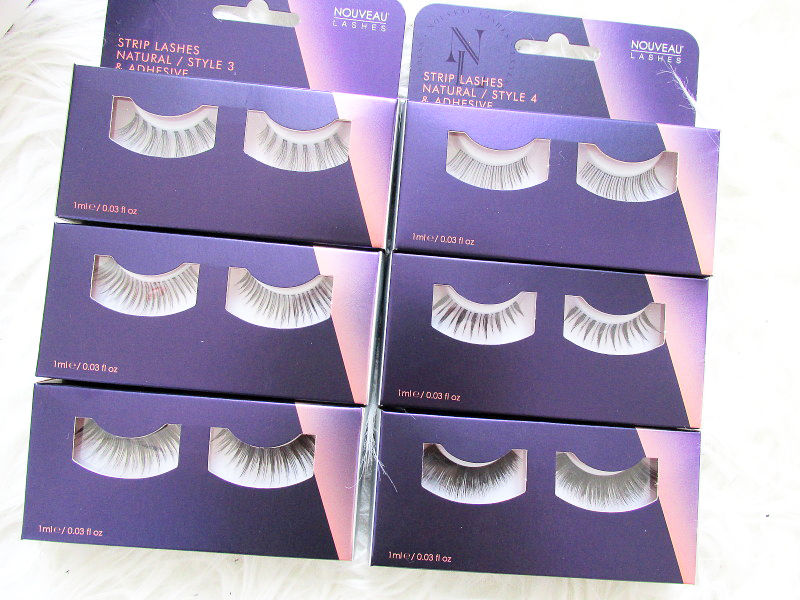 Nouveau Lashes Volume - Style 4. A very interesting style that I've never really chosen before, again this style is a lot darker for a glamourous look with volume impact. 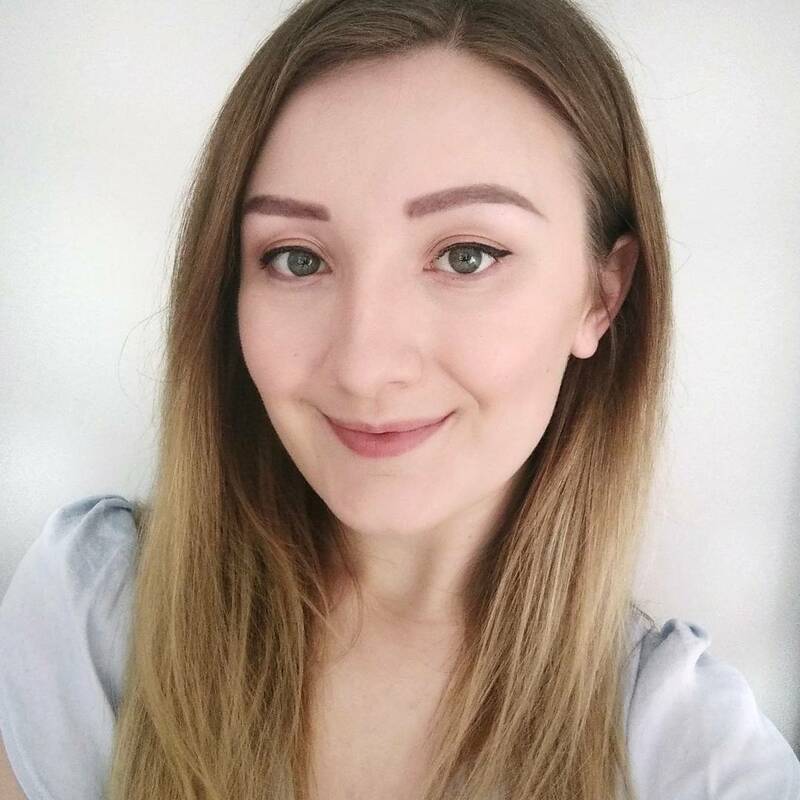 Although a bit gappy at the base, the strategic bunching of lashes makes for a full flutter which actually looks surprisingly natural when on. Nouveau Lashes Glamour - Style 1. Featuring some serious criss-crossing (my ultimate trich cover-up trick), this pair is a fantastic option for covering up gaps yet still creating an impact on a night out due to the immense lift and curl. 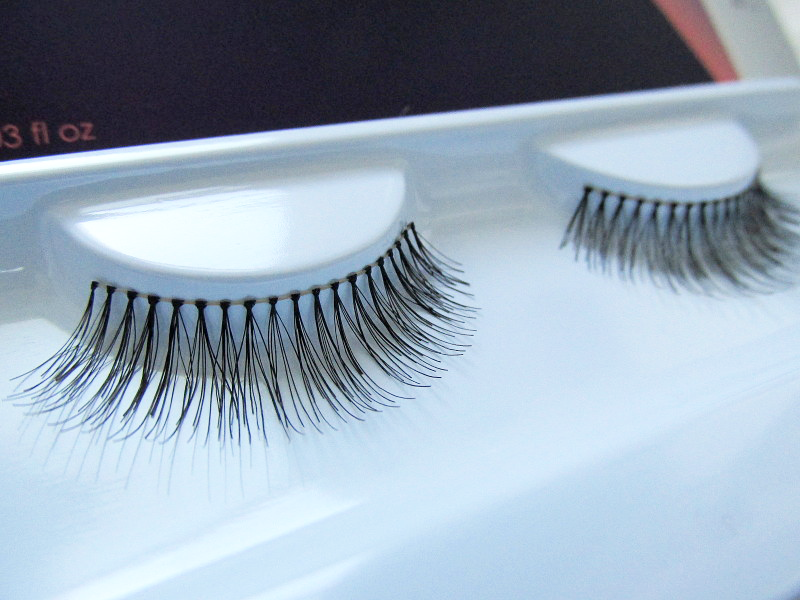 Almost like an evening version of the Volume Style 1 eyelashes, I can see these being a firm favourite. 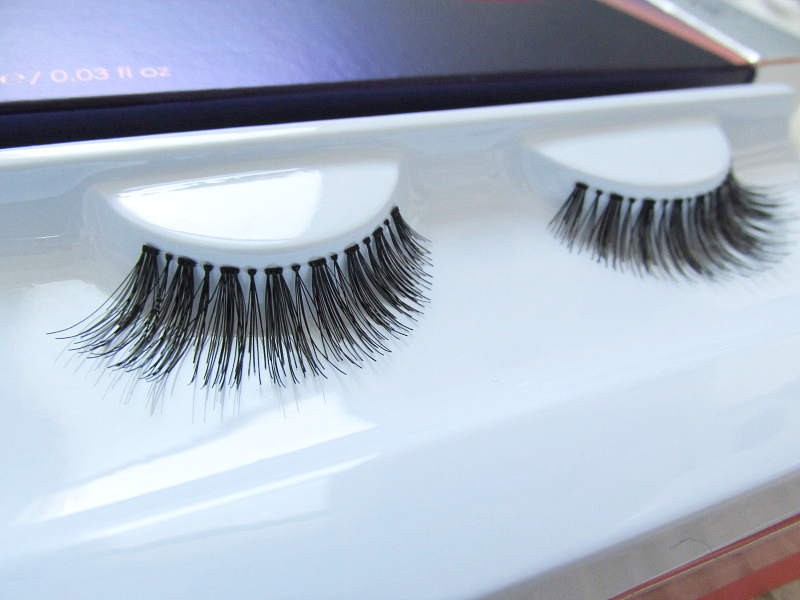 Nouveau Lashes Glamour - Style 4. 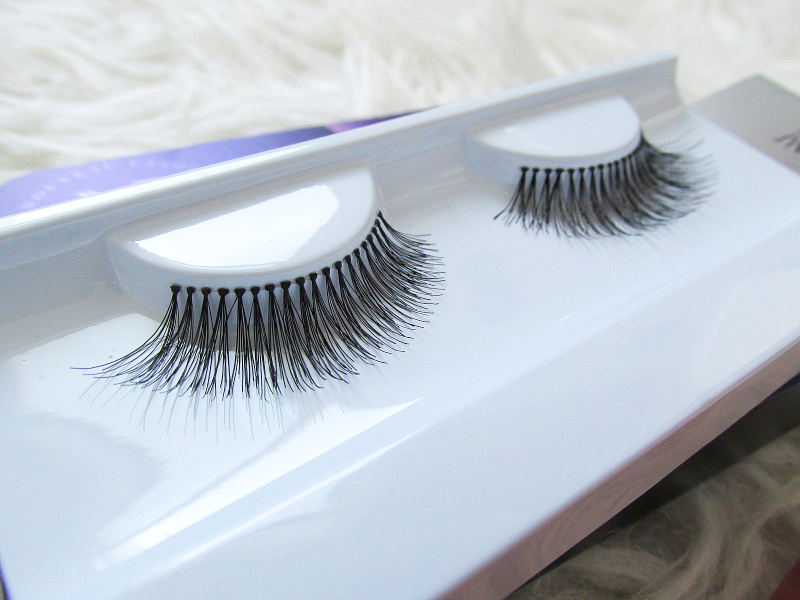 A real full-lashed effect, these lashes are best for perfect drama. Full and packed in at the base, these will cover any gaps you may have whilst providing oodles of volume. While they aren't necessarily natural-looking, these are a seamless pair which would be fab for a night out. 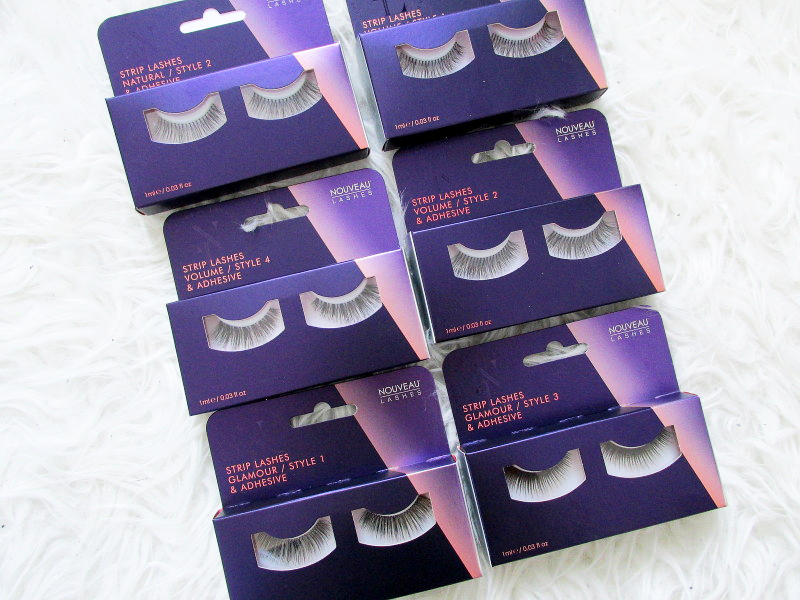 Although these are a few I've picked out for their notable features which I personally look out for in a good pair of eyelashes, this is only half of their range. I have found that their eyelashes are slightly too long for my eyelids (like most brands are), but it's nothing that a little hair cut can't sort! Their glue is also OK and does the job, but I did find myself reapplying after a couple of hours. Whilst I usually keep a little glue in my bag anyway just in case, you will definitely need to keep some on you if you're using their Ultra Bond glue. It's strong, but perhaps not strong enough for totally bald eyelids. Regardless, these are minor details, and when it comes to covering hair loss, it is the style of the eyelashes which I think is most important. Get the style right and you can pass the lashes off as your own, or at least cover any tell-tale signs; I believe Nouveau Lashes get this part completely right with their designs. 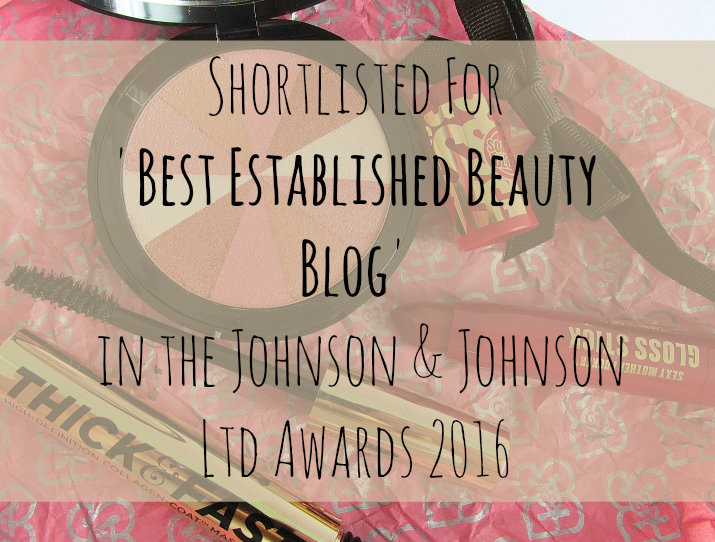 As such, I'm giving away some of their lashes for two lucky winners to try! 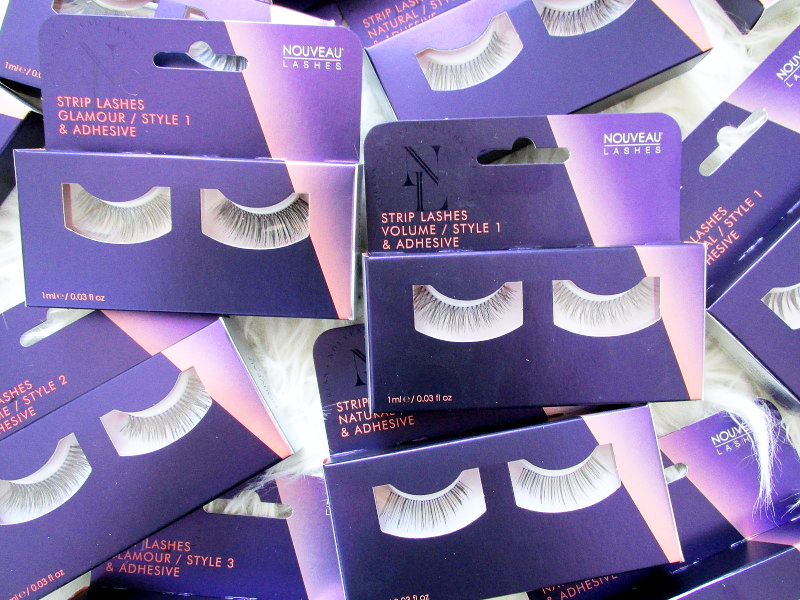 Each winner will win a bundle of three sets of eyelashes (with glue included) so you can give them a go at home. 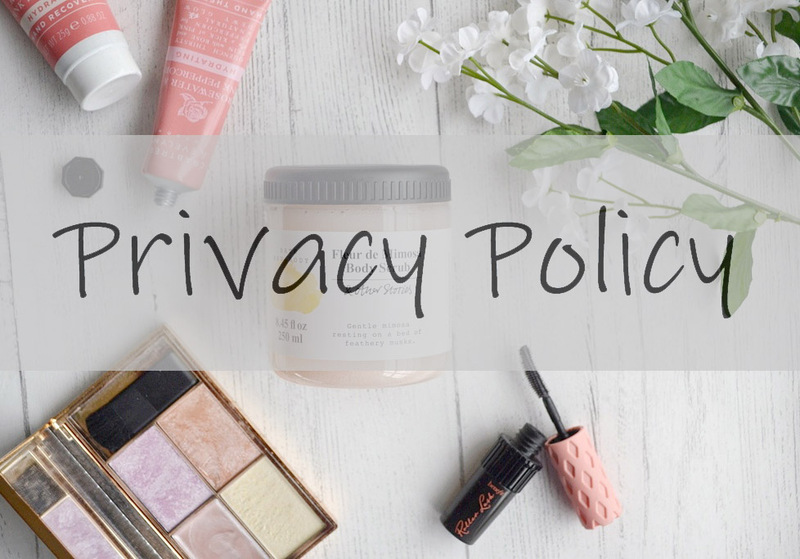 The competition is UK-only, and if you're under 18, please get parent or guardian's permission (you will need to provide an address if you win!). 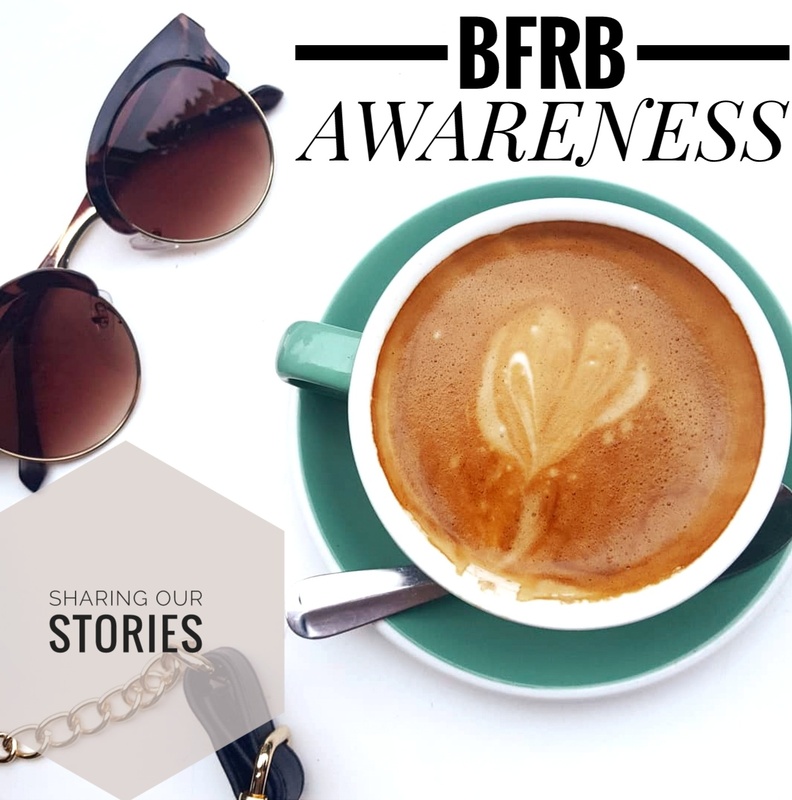 Just enter via the Rafflecopter widget below....GOOD LUCK! I really like the natural looking ones. 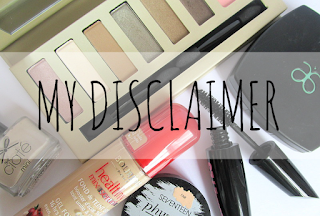 I pretty much stick to one brand for eyelashes so I need to broaden my experiences because I adore applying them. I think my favourite one of these is style 2. I love the natural looking ones, I can fool everyone with those!